On March 15, 1976, a group of musicians consisting of the LUNENBERG TRAVELERS, SONNY TERRY, BROWNIE MCGHEE, ARLO GUTHRIE, and PETE SEEGER, gathered at Hunter College in New York City to pay tribute to legendary blues and folk artist, HUDDIE LEADBETTER. The results of those historic performances are now being re-issued and made available on Labor Records. 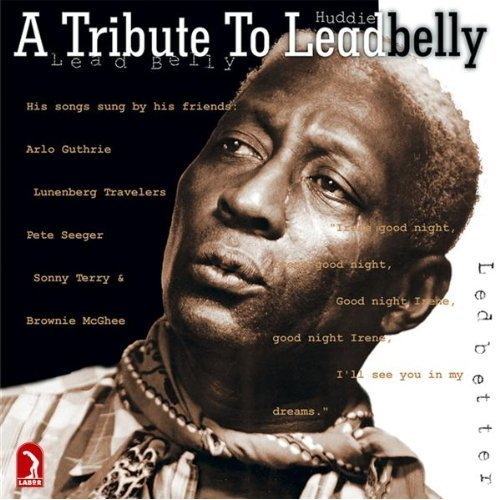 "A Tribute to Leadbelly" features the Lunenberg Travelers singing stirring spirituals, Sonny Terry and Brownie McGhee tearing through the blues, and Pete Seeger and Arlo Guthrie performing for the audience as Leadbelly might have done had he been there himself. Both educational (excerpts from interviews with Leadbelly himself are included) and entertaining, this salute remains as rich, heartfelt, and rewarding as the man and the music that inspired it.